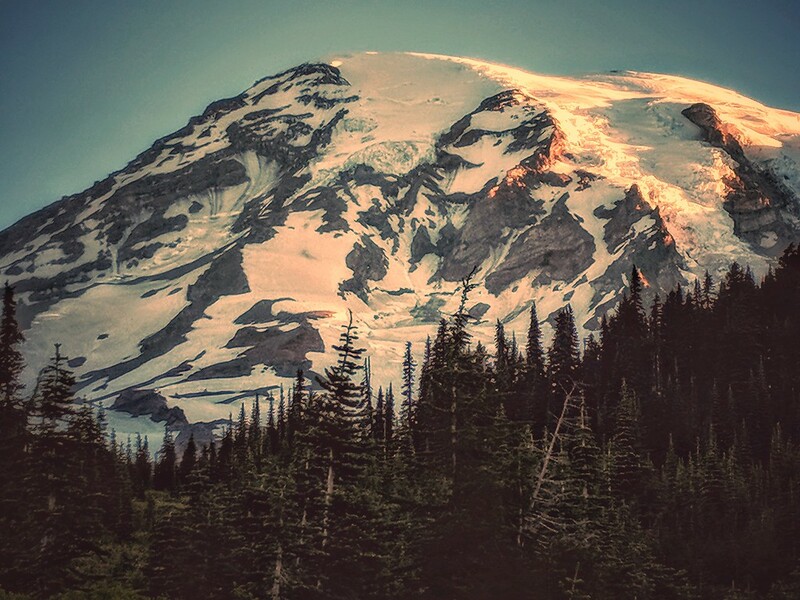 Climbing Mt Rainier is no big deal right? You just go online, choose a guide company from the plethora of them and sign up. 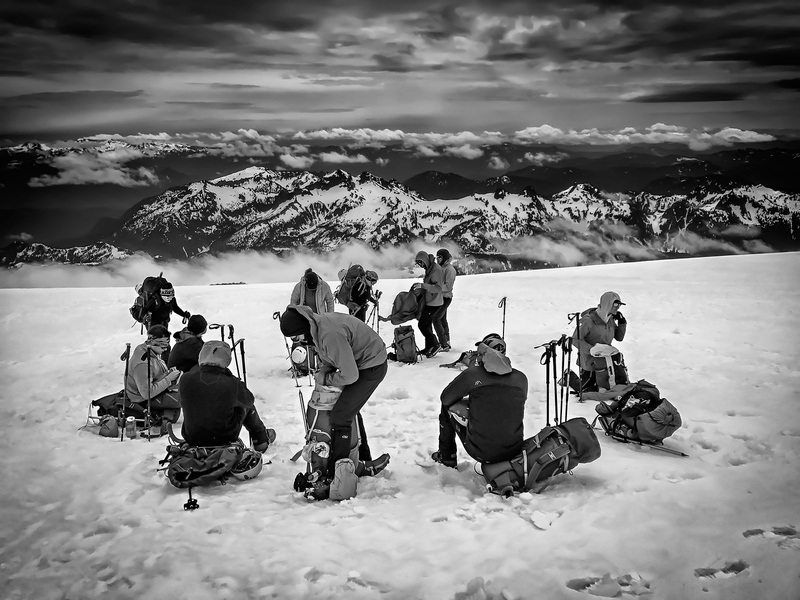 When your selected date arrives you make your way down to Mt Rainier, introduce yourself to the guys your going with, play around in ‘snow school’ for a day then clip yourself onto the team rope and off you go up the mountain. So this is exactly what I did. I was privileged and honored to be guided by the infamous Pete Whittaker himself who has climbed Mt Rainier over 200 times. It’s the highest mountain in the lower 48 and as I came to find out it can be temperamental. 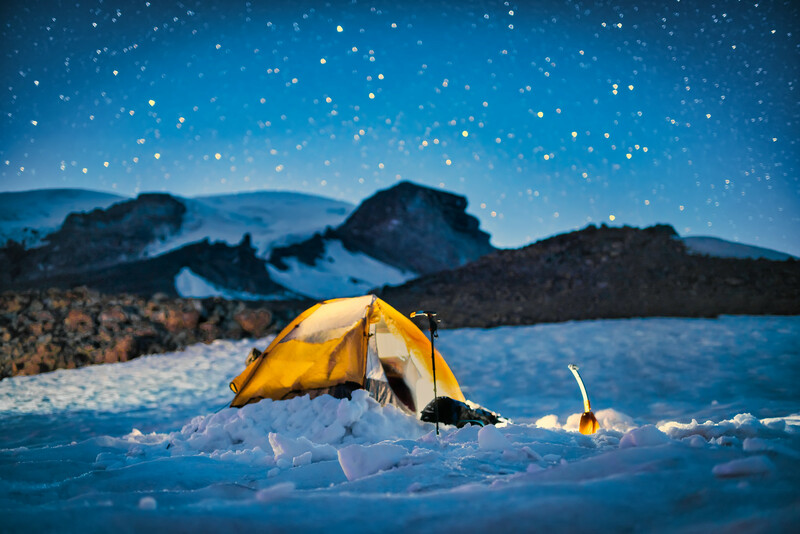 We reach Camp Muir at 10,000ft, went to bed and woke up in a storm with high winds and snow. The only option was to walk back down. Our excitement and hope for a summit smashed by shire disappointment. As we walked back down to the parking lot the snow turned to rain my mood worsened. I vowed to myself that I would try again next year and also be smarter about it. 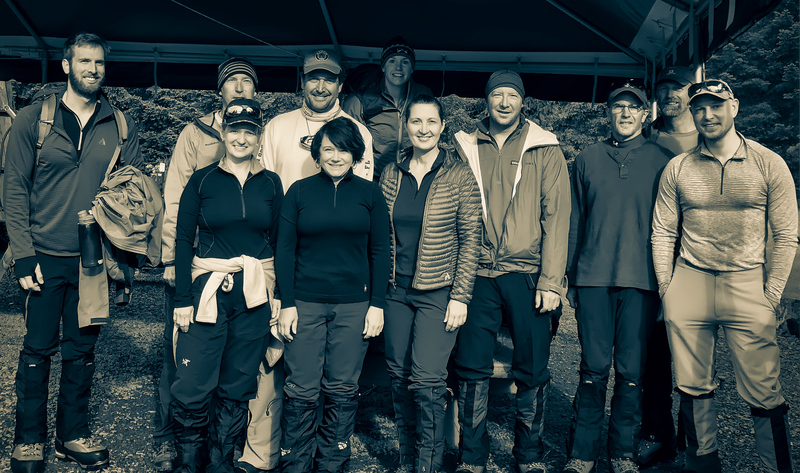 This was the original team, some of which have also tried to climb Mt Rainier again this year with limited success. The strategy this year was not to commit to a fixed date with a guide company but to go it alone. My cousin Mike and I planned a 10 day window in mid July which would allow us to work around the weather. We would wait in Seattle until the forecast was good and then launch from there. This strategy was easy except for getting the climbing permit to camp at Camp Muir and the Ingram Flats. 70% of the annual climbing permits are given to the guide companies leaving only 30% for everyone else issued on a first come first served basis. The weather in Seattle this summer during July was fantastic so no problem there but getting a climbing permit was a little tricky. We planed to climb on Friday mid day so I drove down from Seattle to the ranger station at Paradise at 2am on Wednesday morning. I got there at 04:45 and was first in line. By 5:30 there were five people in line and about 15 minutes before 7am when the station opened there were 12 people waiting. I was the only one to get the climbing permits for the nights we wanted and only two others get any kind of permit for that weekend. As I walked out of the ranger station permit in hand I looked up at Rainier bathed in the morning sunlight and said to myself. It pays to do your homework. 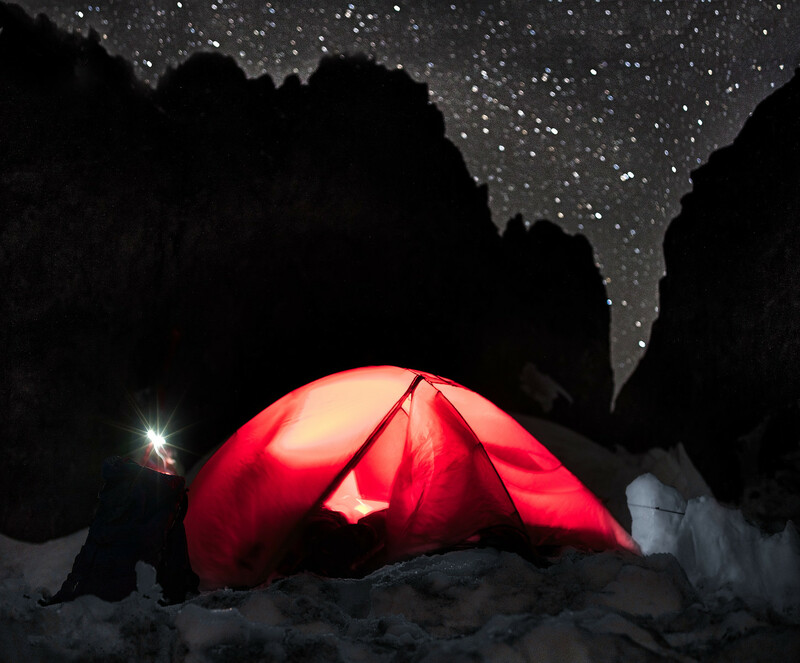 We started late on Friday afternoon and set up our tent at night under the stars at Camp Muir. 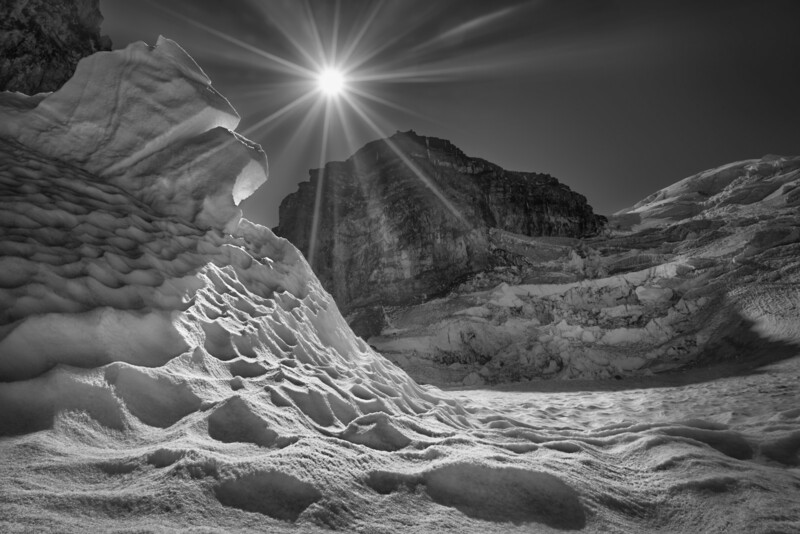 Our second night we camped on the Ingrham Glacier surrounded by deep crevasses and rocky cliff faces. We saw and herd rocks falling all afternoon and into the night. If you looked out one side of the tent you stared directly up at the icefall higher up on the glacier from the previous weeks avalanche knowing that later that night we would have to travers across that ice fall in the pitch dark. 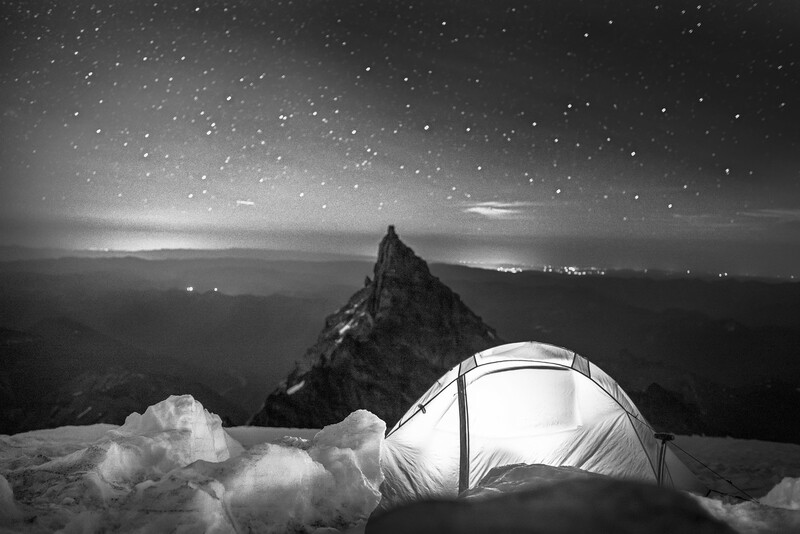 If you looked out the other side of the tent you saw the silluete of Little Tahome surround by stars. We were too excited to sleep so we just lay there and waited for the departure hour. At midnight we set out in the dark for our summit bid. It was a clear stary night with no wind. I felt a little hungry because we did not bring enough fuel for our stove so we had to sacrifice food in order to boil our water for the climb.